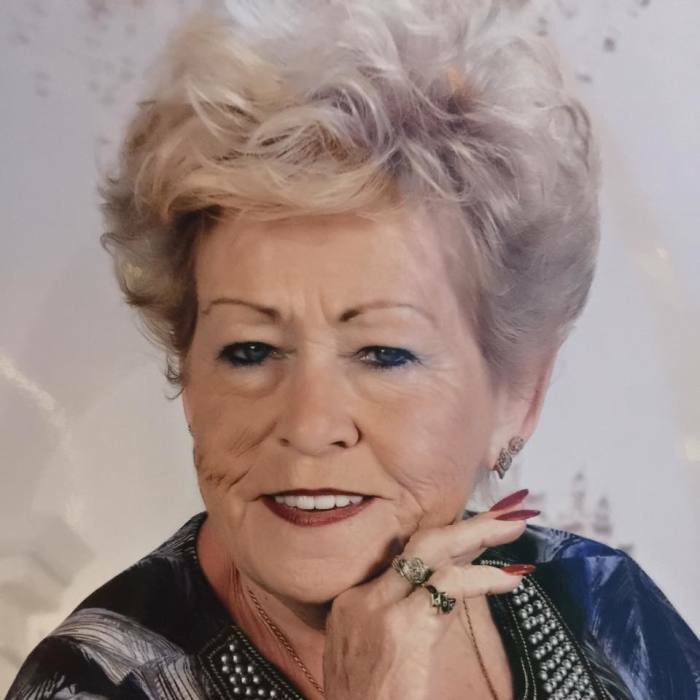 Cason Hilda Mae Cason, “Nanny”, 76, passed away on Monday November 19, 2018. She was born in Lyons, GA., to the late Willie and Lillie Harrell Tyson and has lived in Jacksonville most of her life. She has been a switchboard operator at Baptist Hospital for the past 44 years. She was a member of Hart Haven Baptist church, she loved going on cruises and trips to Las Vegas, the Jaguars and Gator football. She is preceded in death by her husband, Kenneth “BoBo” Cason, and brother, Eddie Gary Tyson. Survivors include her son, Billy Powell (Karin); daughter, Katherine Johnson (David), her loving friend, Dennis Davids, niece, Mindy Mclendon (Travis); grandchildren, Robbie Evans, Trey Powell, Kristen Johnson, and Kelly Mack (Austin), great granddaughter, Daisy Mae Mack; and a host of other relatives and friends and co-workers. Funeral services will be conducted at 11:00 am, on Friday November 23, 2018 in the chapel of Fraser Funeral Home, Normandy Boulevard, Jacksonville, with Rev. Donald Cooley officiating. The family will receive friends 1 hour prior to service (10:00 am – 11:00 am). Interment will follow in Riverside Memorial Park Cemetery. Arrangements are under the direction of Cedar Bay Funeral Home, Jacksonville. In lieu of flowers memorial donations may be made to Community Hospice & Palliative Care Foundation at 4266 Sunbeam road, Jacksonville, Fl. 32257, or give online at www.communityhospice.com/give.